CORPUS CHRISTI, TX – Don’t be late for a very important date! 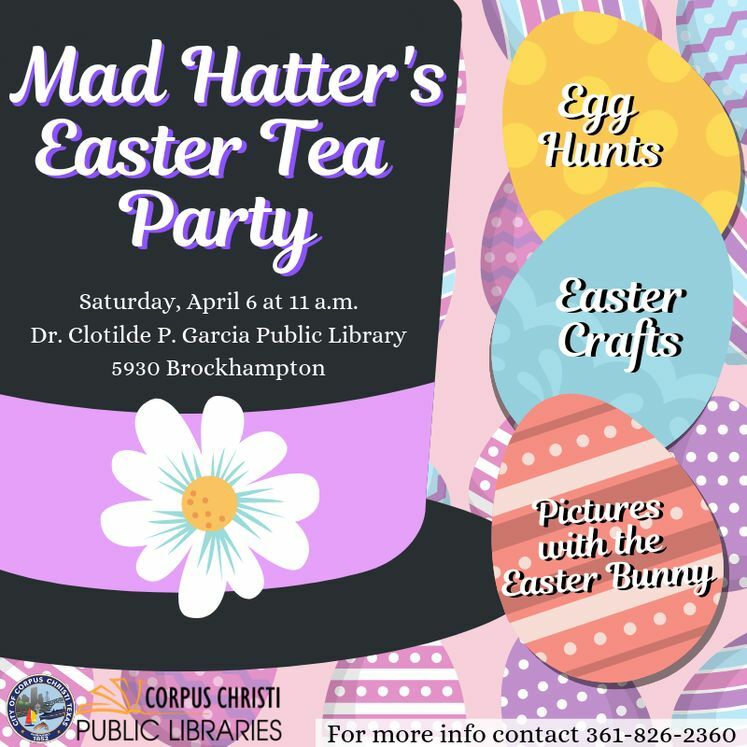 The Dr. Clotilde P. Garcia Public Library invites parents and children of all ages to take part in the Mad Hatter’s Easter Tea Party! The event will include a fun-filled afternoon of games, crafts, and a special Easter egg hunt plus, a live appearance and photos with the Easter Bunny. The egg-stravaganza will take place on Saturday, April 6th at 11 a.m., 5930 Brockhampton Street.